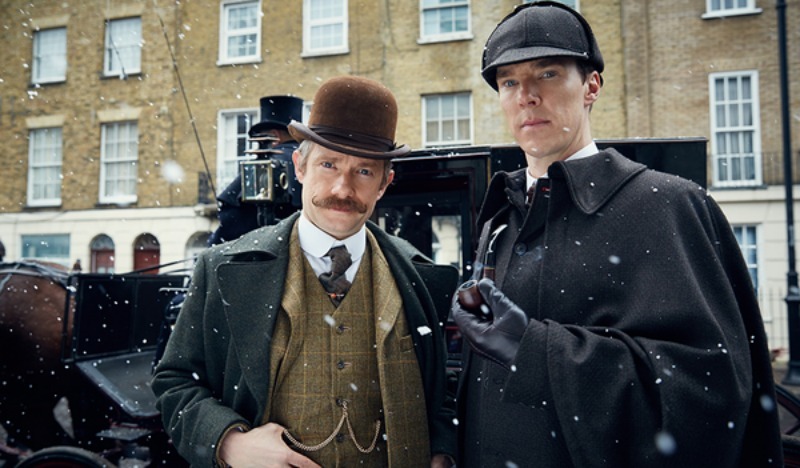 This weekend London has played host to the popular MCM Comic Con – at which, just like the San Diego Comic Con in July – the Sherlock team, here represented by co-creators Steven Moffat and Mark Gatiss, star Amanda Abbington and producer Sue Vertue, used their panel to announce some big, juicy details about the upcoming special. Here’s what we found out about the episode, plus some other fun facts too. 8. And that’s the same date for the US too! US fans, rejoice! At the panel, Sue Vertue confirmed that, for the first time, Sherlock will air in the same day in the US as it does in the UK. 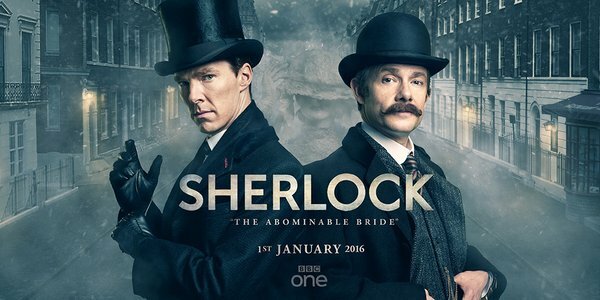 ‘The Abominable Bride’ will premiere at 9PM ET on PBS. For all of you who don’t hail from either of those countries, you might be interested to know that the special will also be simulcast in select cinemas worldwide. Cinema-goers will also see an exclusive behind-the-scenes documentary. Tickets go on sale November 2nd. We’re not sure that this counts as something we learnt as such, we thought we would mention this heartless tease from Moftiss about Moriarty’s future on the show. Don’t you just love/hate these guys? We also got a bit of a hint at Mary Watson’s backstory, courtesy of the woman who plays her, Amanda Abbington. 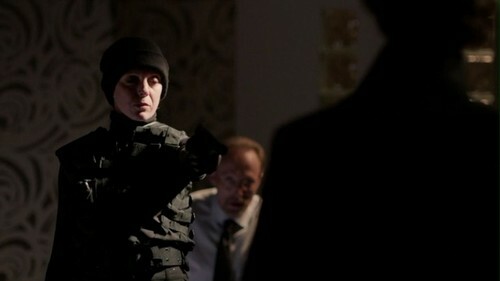 “Mary didn’t choose to be an assassin,” she revealed. “She fell into it.” Amanda also said how the truth about Mary was a shock even to her – she only found out when she read it in the script! From the trailers and clips released so far, we know that Mrs Hudson, Mary and Lestrade will be travelling back in time with Sherlock and John – but what about Mycroft? It seems we should expect him to turn up too as the man himself, Mark Gatiss, said that there is a “fair chance” that we will get to meet 19th century Mycroft. 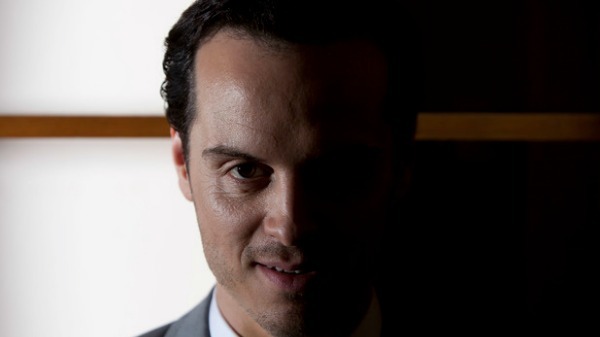 Listen to Moffat and Gatiss on the subject of returning Sherlock to its roots below!